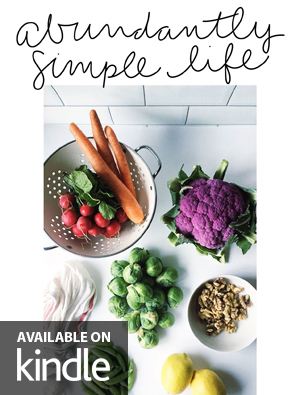 Bringing you fresh ideas for home & kitchen, diy, plant based foods, and more! Encouraging you to receive the abundantly simple life and find joy in the everyday. In this Springtime issue, we focus on a refreshed life. Refresh means, “give new strength or energy to; reinvigorate”, which is exactly what we hope Abundantly Simple Life brings to you!